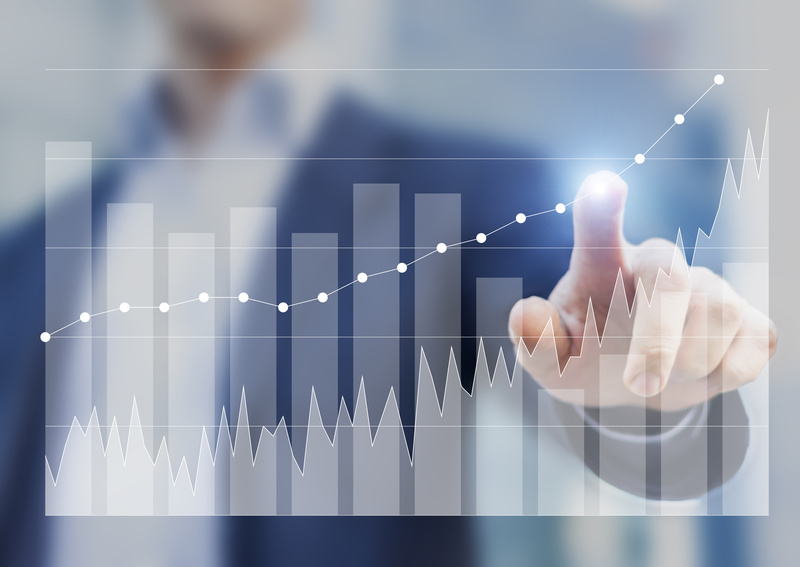 After a strong 2018, growth of the analytical instrument and lab product industry is projected to persist, but will it be sustainable? The IBO Analytical Instrument Industry Forecast and Annual Review seeks to assess this query, providing extensive market data on 10 technology categories for 2017–2020, based on Strategic Directions International’s comprehensive data collection processes. Including market growth, and regional and industrial forecasts, the report delivers critical insight into what to expect for the analytical instrument and lab product market in the near future, especially as the world economy faces increased unpredictability. According to the World Bank, and the Organization for Economic Cooperation and Development (OECD), the global economy is projected to decline in 2019, due to issues such as trade disputes, geopolitical uncertainties, and market stresses in emerging and developing countries. The OECD forecasts a slight, 2 percentage point drop in global GDP growth to 3.5%, with the World Bank forecasting a 2 percentage point drop in growth to 2.0% for advanced economies specifically. This bleak outlook was echoed by CFOs around the world, who, in the fourth quarter 2018 Duke/CFO magazine survey, indicated their expectations for a global recession by year-end 2019. 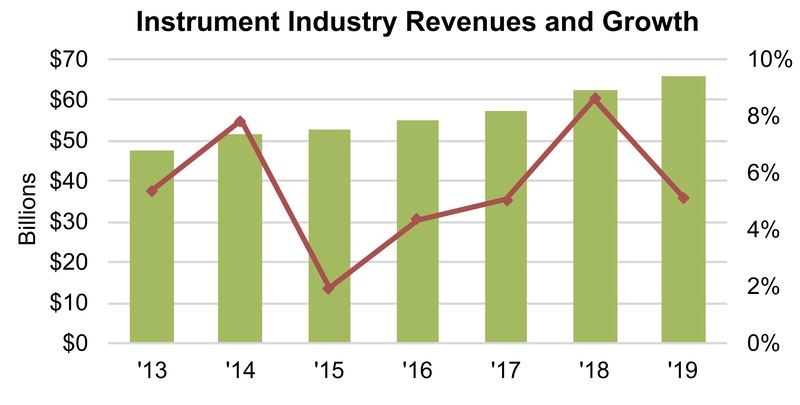 Despite this, the analytical instrument and lab product industry is still forecast to grow in 2019, coming off a stable 2018. In calendar year 2018, demand in the analytical instrument and lab product industry grew almost 10% to over $60 billion. Although growth is still expected in 2019, it will drop from 2018 levels, which had marked the strongest annual growth in recent history. 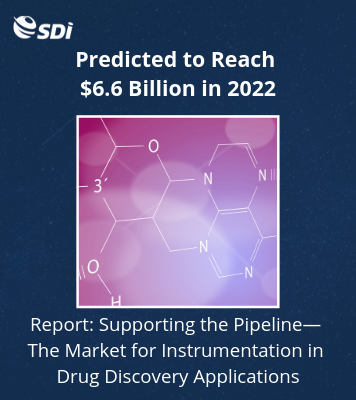 Life Science instrument and product demand is forecast to total over $15 billion in 2019, increasing in the mid-single digits. Within Life Science, sequencing companies shone in 2018, particularly Illumina, which cemented its dominance in the market with its acquisition of Pacific Biosciences (see IBO 11/15/18), expected to close mid-2019. Companies such as Oxford Nanopore and Omniome also raised funds for their sequencing technologies. Mass Spectrometry (MS) demand is also forecast to have healthy growth in 2019, with the pharmaceutical industry one of the sectors projected to drive growth. However, certain applications will likely offset growth in specific MS technologies, slowing the momentum from 2018. Growth for Surface Science techniques is also forecast to be robust, with two key technologies driving microscopy demand. Applications including life science imaging and semiconductors will keep demand steady for particular microscopy technologies, along with research areas which require advanced tools. Other technology categories included in the IBO Analytical Instrument Industry Forecast and Annual Review are Chromatography, Lab Automation, Atomic Spectroscopy, Molecular Spectroscopy, Materials Characterization, General Analytical Techniques and Lab Equipment. The comprehensive report also features data on both instrument and vendor market share estimates, as well as market growth projections for each technology category. Additionally, the report provides regional and industrial forecasts for instrument growth, as well as an analysis of 2018 trends and developments in the lab product and analytical instrument industry. For more information and to purchase your copy of the IBO Analytical Instrument Industry Forecast and Annual Review, click here.